After exploring around the Grand Canyon, we drove east and then north towards the city of Page, AZ. 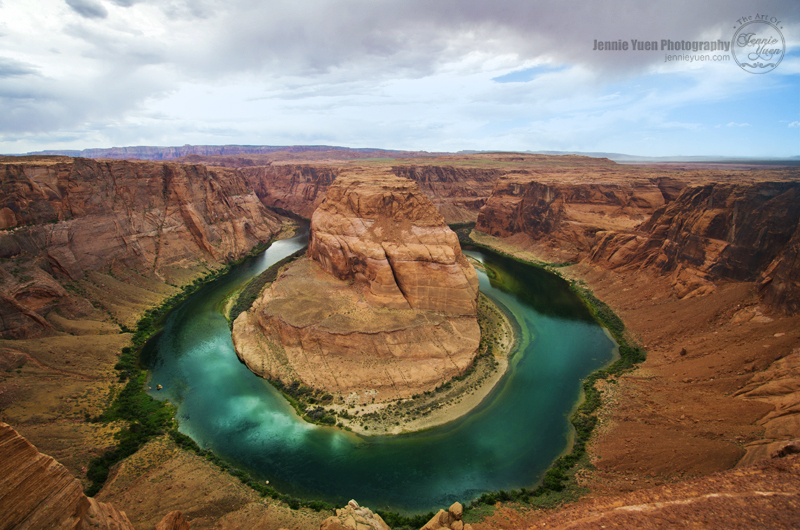 Photograph below shows an amazing and breathtaking view of Horseshoe Bend. This was the highlight of the road trip and worth the long drive to see this! What's chilling was the 1000ft drop with no railing. I could not go more than 5ft near the edge. It was scary! Check out more of my Arizona vacation photographs on my blog. This shot is beautiful and what a gorgeous spot.